This webpage contains information on how to calculate DNA methylation (DNAm) age based on data measured using the Illumina Infinium platform (e.g. 450K or 27K data). The age calculator presented below automatically outputs the estimated DNAm age and optionally various measures of age acceleration, predictive accuracy, and data quality. After uploading the data, the function will return an Excel file whose rows report the estimated DNAm age of each subject and optionally additional information. 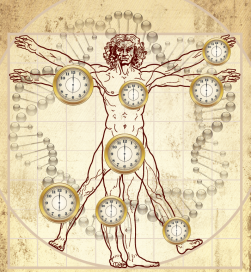 If you only submit DNA methylation data, then you will only obtain an estimate of DNAm age. If you want to obtain various measures of age acceleration and array quality, then you need to upload an additional sample annotation file as described below. The calculator is only applicable to DNA methylation data that come with an identifier for CpG probes measured on the Illumina platform. Please save the methylation levels (beta values) in a comma delimited text file (e.g. an Excel .csv file). Optionally, you can compress the comma delimited file (. csv files) into a file that ends either with .zip or with .bz2. Other compression formats can not yet be used. The first row should contain the CpG probe identifiers (cg numbers). The remaining columns correspond to samples. The file should contain a header (e.g. starting with "ProbeID", "Subject1", "Subject2",...). Horvath S (2013) DNA methylation age of human tissues and cell types. Please email Steve Horvath with questions (shorvath at mednet.ucla.edu), subject heading: DNAmAge. SH gratefully acknowledges the many researchers who made their DNA-methylation datasets publically available and responded to his email requests.